I love Amazon for their books and, increasingly, everything else it seems. The latest Amazon deal is a BlackBerry Curve. Depending on different reports if you take the Curve off Amazon’s hands and sign up with an AT&T service plan you’ll either pay $49.00 or Amazon will pay you $25 when all the rebates are factored in. Not a bad deal considering we Canadians pay like $350.00 for one. Although that said a buddy of mine walked into a Rogers dealership said he had been with them for a few years and was thinking of an iphone and ta-da they sold him a brand new Curve for $125. Nice, who wouldn’t get one for that price? Amazon has done this before with BlackBerrys however, usually not so close to the launch of a device. There is speculation that Amazon want to unload their Berry stock before the iPhone turns up, even though Amazon have no plans to sell the little apple phone. AT&T and Apple are about to start marketing the iPhone probably unlike any phone ever that has come before it and there is a fear that the Curve will get lost in the onslaught. 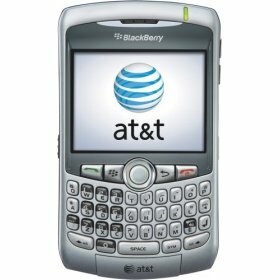 AT&T still lists the BlackBerry Curve on their site for $200 with a two year plan. But then a lot of people are going to ask why not go with the iPhone if you are on AT&T? Verizon’s superior 3G network would be a better alternative to those who want to resist the iPhone and stick with the curve.